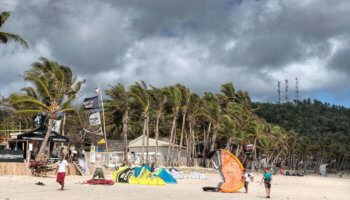 Boracay island, well-known kitesurfing paradise, and one of the best kite spots in South-East Asia. It is the main tourist destination so it gets very, very crowded in high season! 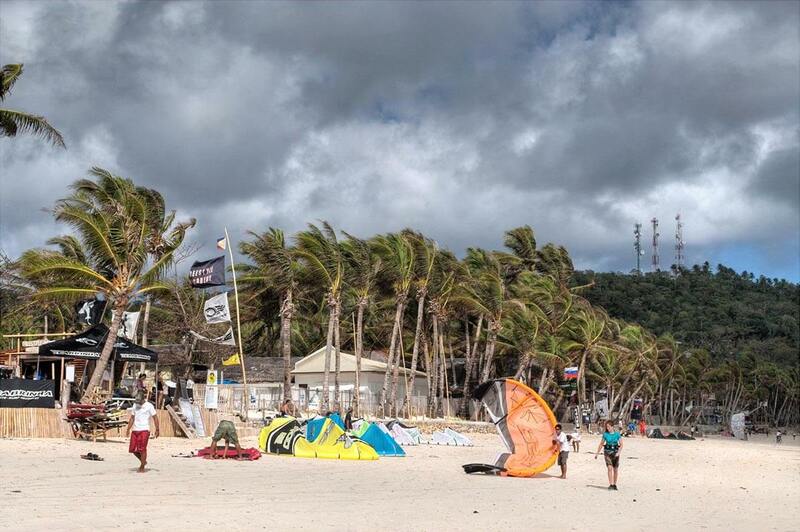 Due to the crowd, it might not be the best place to learn to kite. 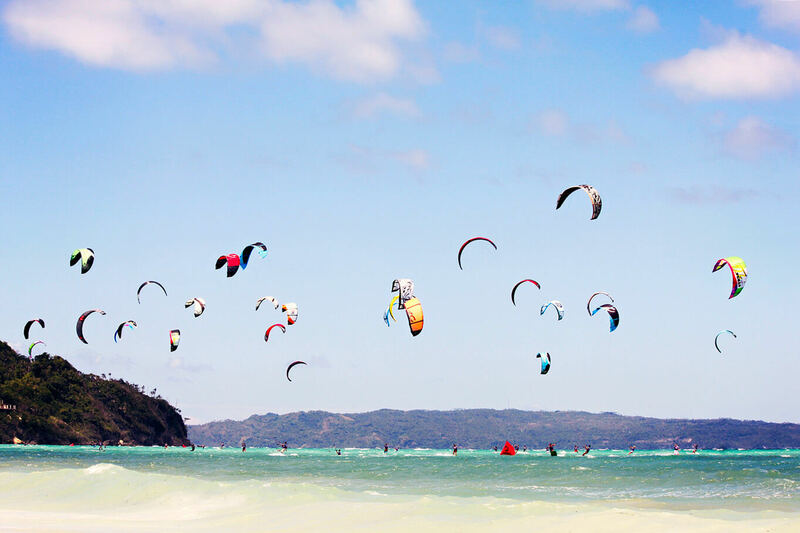 Best season to kite on Boracay is December – March. November depends on the year, you can definitely get some wind, but it is very unpredictable. Beach in high tide gets very small and is difficult to launch, that’s why it’s better to kite in low tide. Consistent 15-25 knts during the season (Dec – Mar), it can go over 30 knts on some occasions, but not very often. 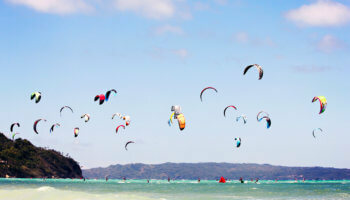 Beach can get very crowded in high-season, 100+ kites in the water/air.